Home » crooks and castles , Goodwood , jesus , jesus piece , raglan , the Savior » Crooks & Castles "The Savior Raglan"
I felt this was an appropriate post for a Sunday, as I sit here in this Brooklyn apartment before the Thaitanium show at SOB's tonight. 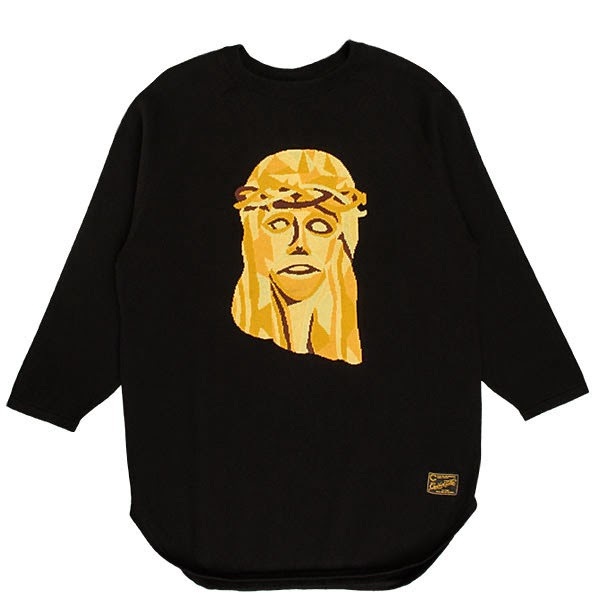 Crooks & Castles has always had some ill pieces and I've always lightweight liked raglans. "The Savior" raglan is a 100% cotton T featuring a 3-tone Goodwood-style Jesus piece front and center. M to 2X left so order yours today.